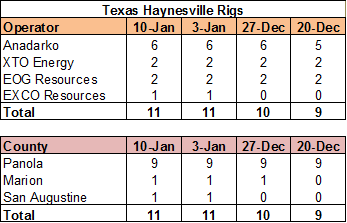 Last week's Haynesville Shale rig count was unchanged from the previous week, holding at 28, with both Louisiana and Texas unchanged at 17 and 11 rigs, respectively. But like a duck churning under the calm surface of the water, there was some more activity than meets the eye. 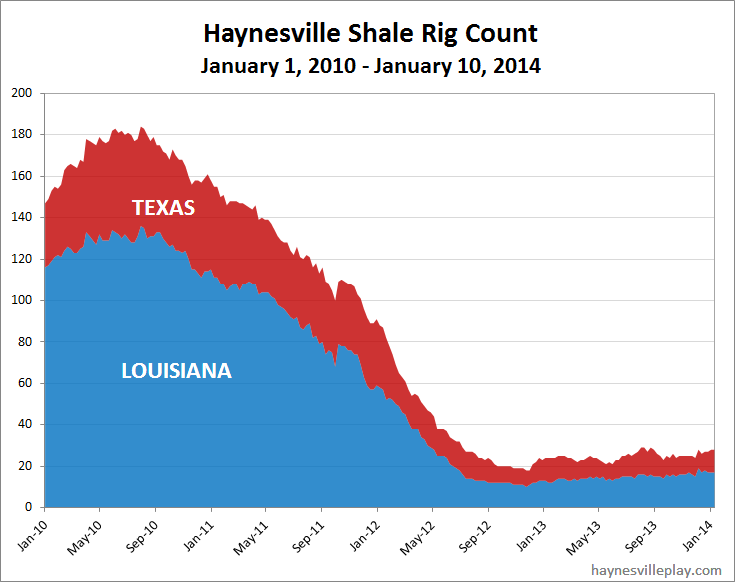 In Louisiana, Petrohawk was down one rig, while XTO was up one. There is also greater diversity in location. Back in the fall, all Texas rigs were in Panola Co. and most Louisiana rigs were DeSoto Parish, with just a couple elsewhere. 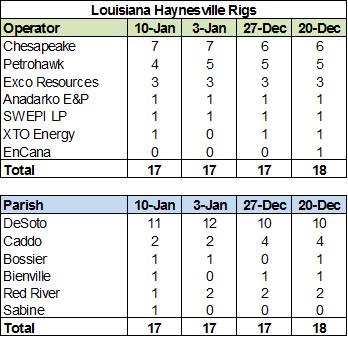 This week, Haynesville rigs are in nine different parishes and counties. It's not a party like 2010 all over again, but there has been subtle change over recent months. I'm going to update the map for the first time in a few months.